I'm getting excited about next fall in fifth grade and have thought about upgrading a couple things. 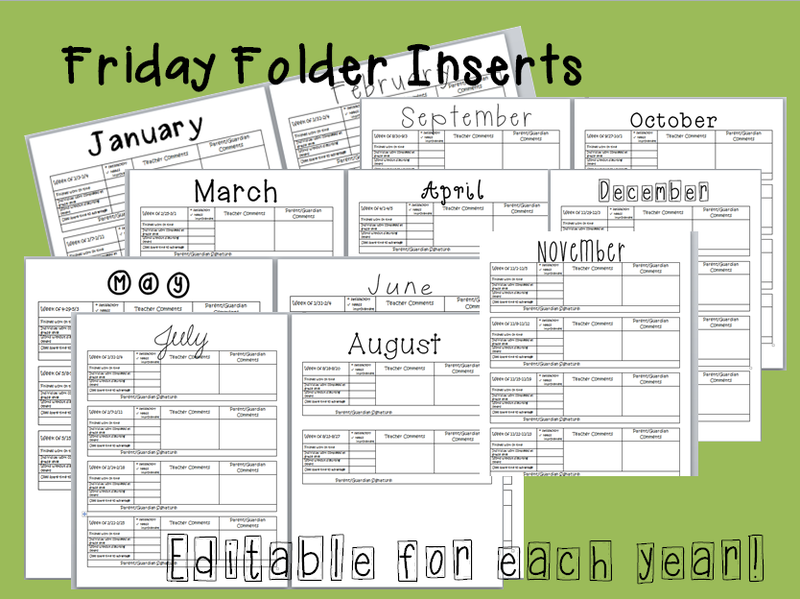 First on the list: Friday Folders. My old inserts had immature graphics so I did away with them and added better fonts. Check them out! You can purchase them HERE at my TPT store. They are on sale until Monday for $2!! 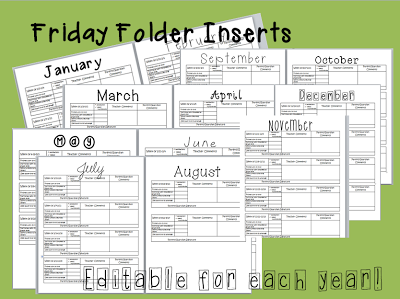 And since I love teachers (obvi) I'm giving away a few free files to the first three people to comment by answering what technology they wish they had in their classroom? Don't forget your e-mail address. Because I did start my Donor's Choose PROJECT this week! I wan an Ipad mini!! P.S. 4 1/2 days of school left!! WHAT!? 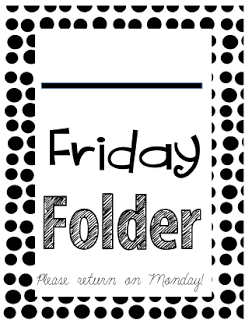 Please check out my Friday folder cover freebie post here to download the front page! These look awesome! I am dying for an iPad or two for centers. My kids would flip! You're #1:) thanks for visiting! I would love more computers and a better printer!!! Yay you're number two! Same here. I've have five next year though! A smartboard! Or almost anything...we are in the last century at my school, tech wise! Yikes! That isn't good:) you're #3!! Oh! WOW! I just found your site as I am moving to 3rd grade. I have to start from scratch for resources. Too bad I missed this!